Software companies have noticed this shift in sports content consumption and changing behaviors, and are now delivering all sorts of high-end and easy to use solutions to fill in those needs. Either working in collaboration with sports leagues or catering to the fans directly, these companies are changing the way we interact with the sporting world. The overall sports experience is not as it used to be. If in the past, most of what implied fan engagement revolved around Sunday Football or Baseball October, today’s sports fans want to be connected and interact with theirteams and favorite players, 24/7. If high-depth TV and nationwide fantasy leagues made fans feel more close to their teams and even engage in a more active role than before, present-day audiences are looking to immerse themselves into a participatory-style viewing experience further. Even though the MLB is notorious for its willingness to stick to tradition through thick and thin, not even it can deny the need for some technological innovation to keep up with the changing times and consumer expectations. Back in September 2017, major league baseball announced the launch of its new app, aptly called At Bat. This AR app allows fans to use their phones or tablets by pointing them at the field, look at each at-bat and instantly obtain a comprehensive view of each player’s stats. That’s not all that At Bat can deliver. It can also analyze every play happening on the field, displaying useful data such as speed and trajectory for every single hit. Let’s also not forget about Hawk-Eye, the VR technology that’s been part of tennis, cricket, badminton, curling, rugby, or volleyball as early as 2002. Its technique makes use of several high-performance cameras positioned at different angles that, combined, generate a 3D image and depict the ball’s trajectory. As of late, the NBA has also joined the AR/VR club. The league announced, not that long ago, that it partnered up with Next VR and that it has plans to broadcast all of its future games in virtual reality. Even the major league soccer (MLS) is delving into this realm. DC United has been experimenting with various ways of incorporating augmented application technologies to drive more fan engagement. Sports leagues aren’t the only ones taking such a proactive approach to these relatively new technologies. Individual developers are coming up with their solutions regarding VR/AR to satisfy the fans’ needs. One such example being Fanisko Engage. 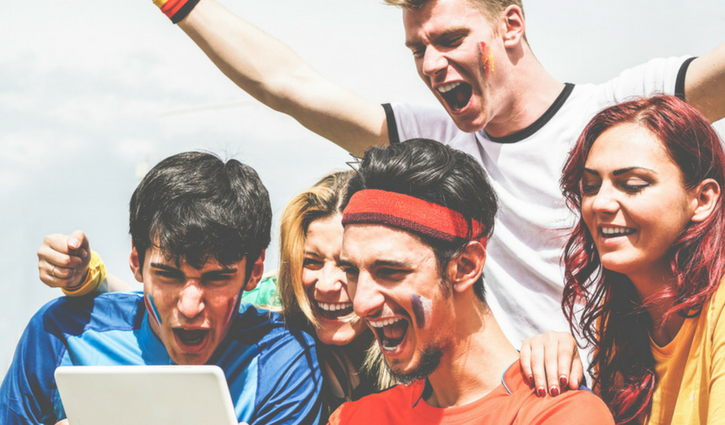 Not only does it provide its users with these technologies, enhancing their overall enjoyment, but it manages to funnel all other content about their favorite teams under the same roof. In short, augmented and virtual reality technologies are here to stay. 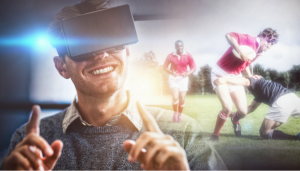 Regardless of whether sports leagues are willing to implement them or not, consumers want to feel more engaged with the teams they love, and AR/VR is quickly becoming the norm in this regard. Who doesn’t desire to look like Dhoni? Well, The CSK AR app provides you with that. Pretty cool, right? Even though still in its infancy, the rise and popularity of Augmented Reality (AR) is pervading into every possible industry in the world with the sports fan engagement leading the business. While other sports like NBA, NFL has gone through countless innovations with AR, The cricket fans, especially in India, are yet to experience AR. Though the AR apps in cricket have been around for a long time now, it wasn’t quite popular until the Melbourne Renegades, and few other Big Bash teams used them in the recently concluded Big Bash tournament. With over 20 million followers, The Chennai Super Kings (CSK) is known for their innovations to keep the fans engaged, and they have done it once again. The long wait for the Indian cricket fans to experience AR has come to an end. Indian cricket fans, meet the cool kid on the block “CSK AR App”. Powered by Fanisko and Binaryface, the CSK AR app uses real-time face effects, lets the fans take a selfie using five different face filters and allows them to share the pictures in social media for bragging rights. Fanisko has been working their hearts out to take fan engagement to the next level and is successful in solving fan engagement problems for brands and franchises with the millennial fan base. CSK AR App is an excellent example. We turn loyal fans into digital diehards. Fanisko offers their fan engagement platform Fanisko | Engage as a backend plugin that infuses sports teams apps to engage and retain the connected millennial. Think live play-by-play predictions, AR/VR/MR games, engagement rewards, and a personalized stream of all team news and social buzz – 24/7, 365. Fanisko has further innovated to create hybrid play along fantasy platform Cricking Duels. Fanisko’s connection to CSK is not something new – in 2015, Fanisko (a/k/a Cricking) partnered with CSK for 2015 IPL season as their official Fan engagement partner. 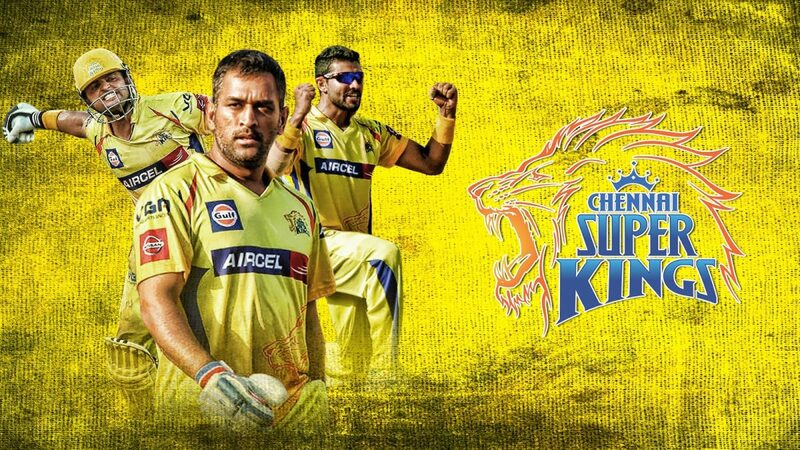 You can download the app, CSK AR from Google Play store.